Sophie Turner aka Sansa Stark from Game of Thrones, attended Priyanka Chopra and Nick Jonas' Hindu wedding ceremony wearing a pastel peach Lehenga-choli with her fiance Joe Jonas. 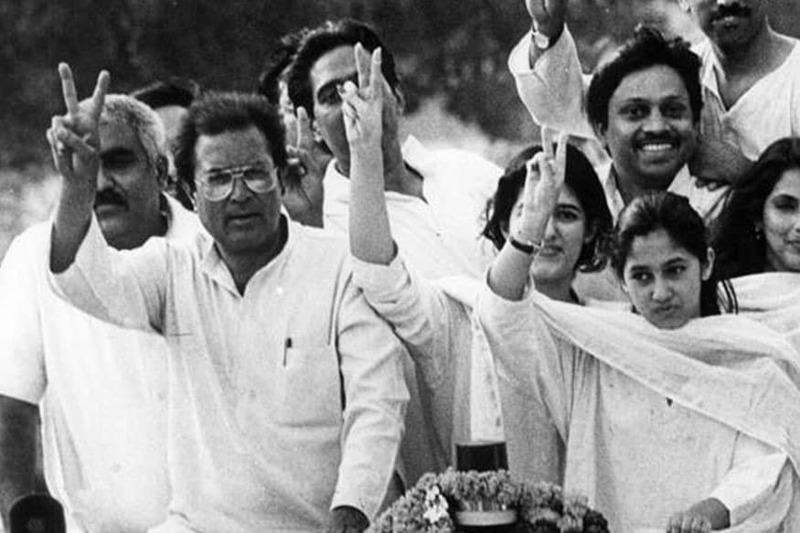 While the world is waiting for pictures from Priyanka Chopra and Nick Jonas' Hindu wedding ceremony in Jodhpur's Taj Umaid Bhawan. We got our hands on yet another picture of the GOT star Sophie Turner aka Sansa Stark at the Hindu wedding ceremony of the newlyweds. Donning a pastel peach lehenga choli, Sophie looked nothing less then beautiful in this traditional Indian outfit. With an elegant neck piece and the teeka on her forehead she pulled off the lehenga in the most graceful manner. On Priyanka's mehendi ceremony, amidst all the dancing and singing, we spotted Sophie Turner enjoying herself next to Priyanka Chopra and Parineeti Chopra in a beautiful green sequinned Gota Pati Lehenga-Choli by Anita Dongre teamed with a pair of dangling chandelier earrings. Sophie Turner with Priyanka Chopra and Parineeti Chopra at the Mehendi ceremony in Jodhpur. 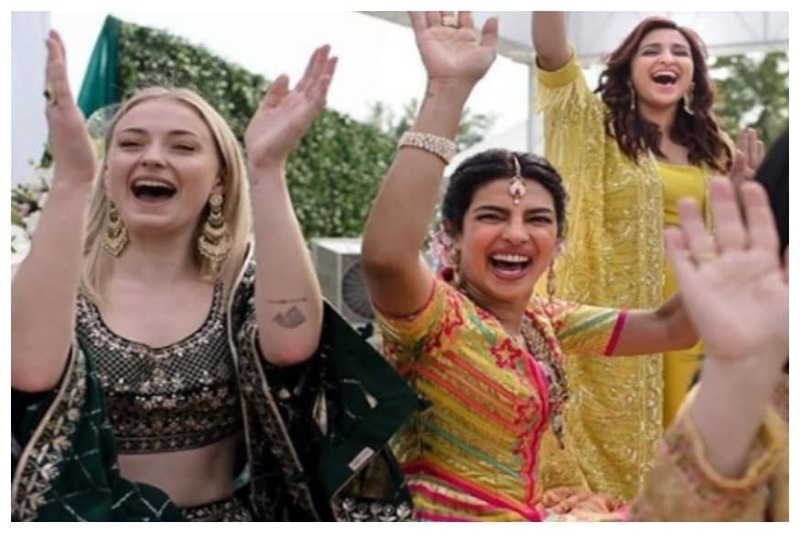 Yes, GOT fans that's the Sanska Stark we see onscreen who is now flaunting her traditional Indian attire at Priyanka and Nick's wedding in Jodhpur. Sophie Turner who is engaged to Nick Jonas' brother Joe Jonas was among the close family friends present at the wedding ceremonies and danced all day long with the bride and groom.